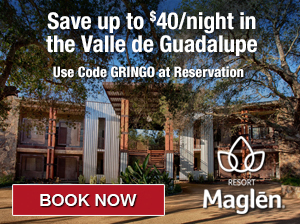 m VALLE DE GUADALUPE, BAJA CALIFORNIA – Henry David Thoreau famously sought the tranquility of Walden Pond as a place where he could transcend the concerns of modern man and create his art outside the distractions of an increasingly industrialized society. 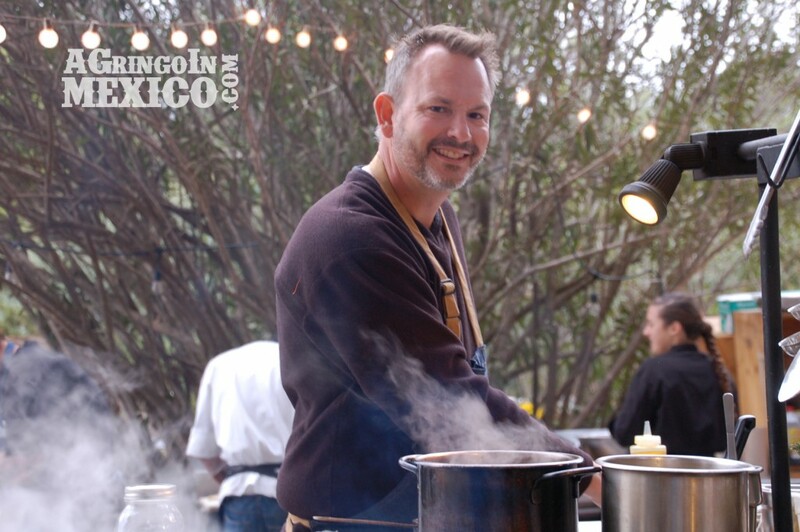 Similarly, Drew Deckman – Michelin starred chef, Georgia native and former philosophy major – has chosen Baja California’s rugged wine country as an idyllic setting for culinary expression. It is here that he achieves the ultimate unity with nature vis-a-vis access to the region’s most sustainable seafood and fresh ingredients. 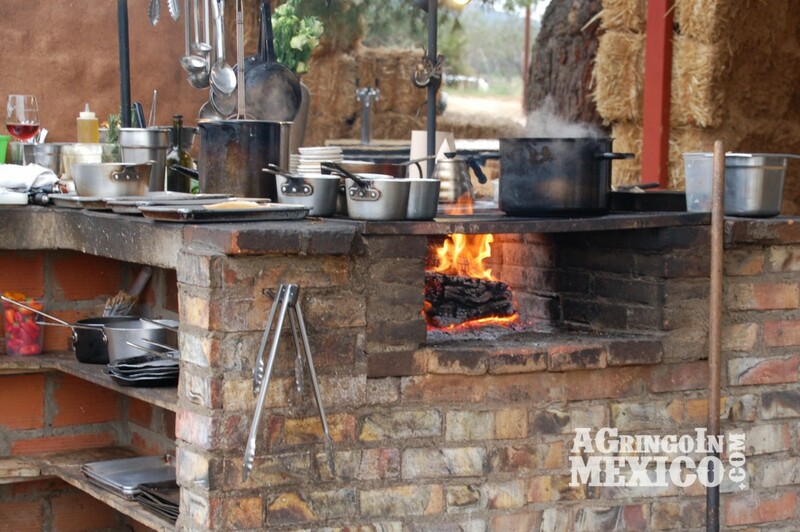 Chef Drew Deckman at the helm of his rustic kitchen in the Valle de Guadalupe. 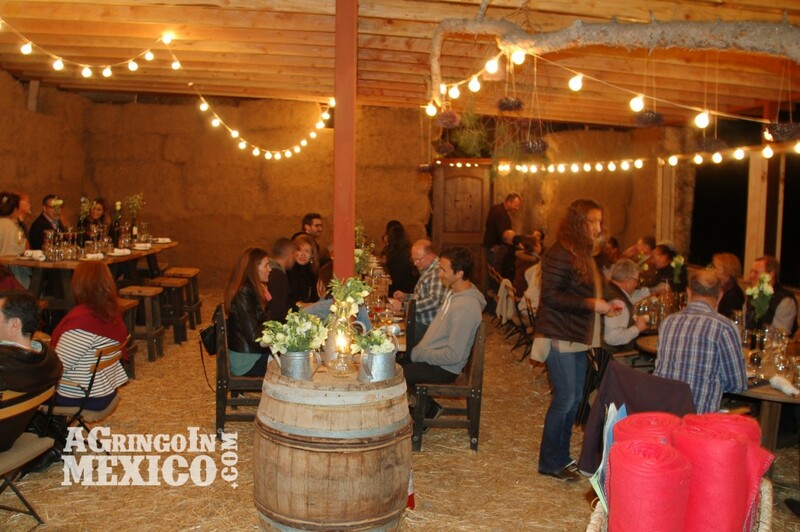 Before the current boom in the Valle de Guadalupe, Deckman left his restaurant in San Jose del Cabo every summer to operate his then-seasonal campestre kitchen here, Deckman’s en El Mogor at the Mogor Badán winery. He eventually left Deckman’s San Jose altogether and moved to the Valle permanently – chef and restaurant becoming a highlight and must-try on the region’s burgeoning culinary ruta. 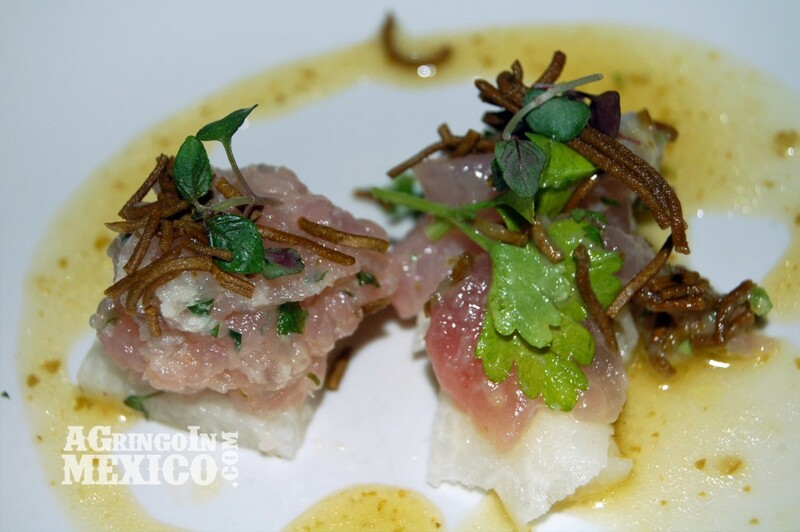 “I think we were a little in front of the curve in Cabo,” the chef recently shared. “The more I became integrated in the Valle, the more frustrated I was in Cabo. Thus the paradigm shift.” Indeed, Deckman – known as “the fishing chef” due to his enthusiasm for the sport and its resultant bounty – combines the catch of the day, crustaceans and bivalves from the Pacific with other ingredients in a seemingly complex manner. Dishes that layer taste and texture in an way that complements the main ingredient. 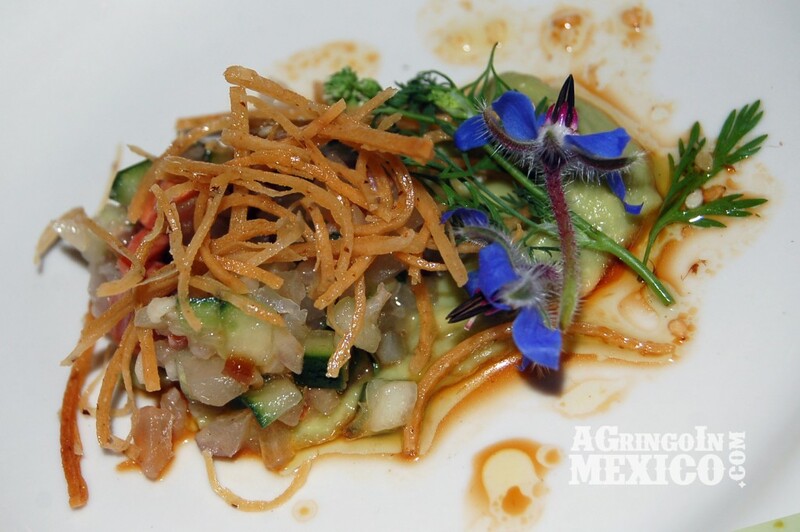 During a recent chef’s dinner, Deckman served an artfully-plated dish of ceviche of red pata de mula (a type of clam) with apple, soy, cucumber, local greens and edible flowers. Nautical miles beyond the typical shrimp cocktail that a typical tourist in Cabo might expect, nay demand. But in the Valle de Guadalupe, Deckman’s level of culinary experimentation is expected, enjoyed and celebrated by a more adventurous brand of eater. The Valle is after all, a destination known for its bold cuisine as well as its bold blends. Colorful red pata de mula ceviche from chef Drew Deckman. Conversely, Deckman also knows when to dial back the ingredients and let the essence of an oyster, chocolate clam or piece of fresh fish stand and be tasted on its own merit, adding only the sparest of additions to enhance the seafood’s true flavor. 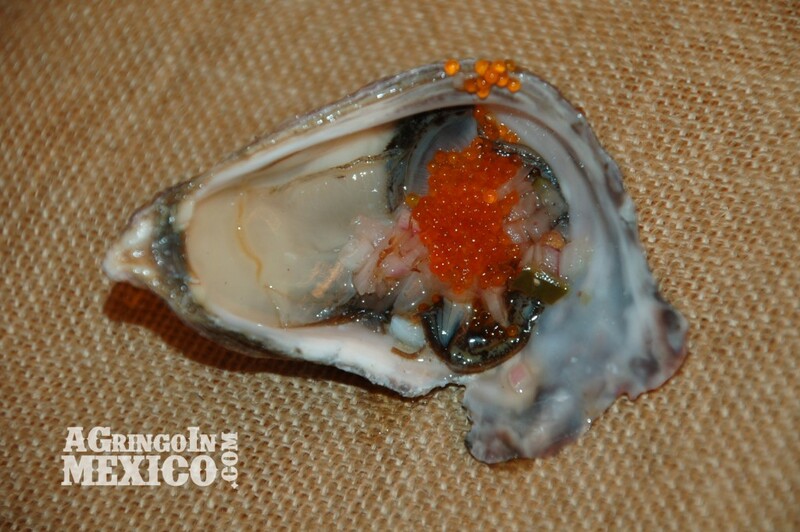 The Kumiai oysters served at the chef’s dinner were lightly marinated in a mignonette and simply garnished with tobiko (flying fish roe), allowing the briny freshness of the shellfish to take center stage. Kumiai oysters with tobacco (flying fish roe) in mignonette. Late in 2014, Deckman built a temporary, sustainable enclosure with hay bale walls and a tin roof so the restaurant could stay open through winter when tourism slows and other Valle spots shut down until spring. His kitchen contains no electric or gas appliances. Chef and staff do all the prep, cooking and plating on a large brick hearth that operates as countertop, stove, grill and oven. Watching a Michelin starred chef create elegant cuisine in such a rustic environment is a wonder to behold. Deckman’s en El Mogor’s hay bale constructed restaurant. The kitchen at Deckman’s en El Mogor. Deckman has hosted two chef’s dinners this winter as another way to draw interest to the restaurant during the Valle’s slow season, and expose guests to some of the great food his cross-border colleagues are making. 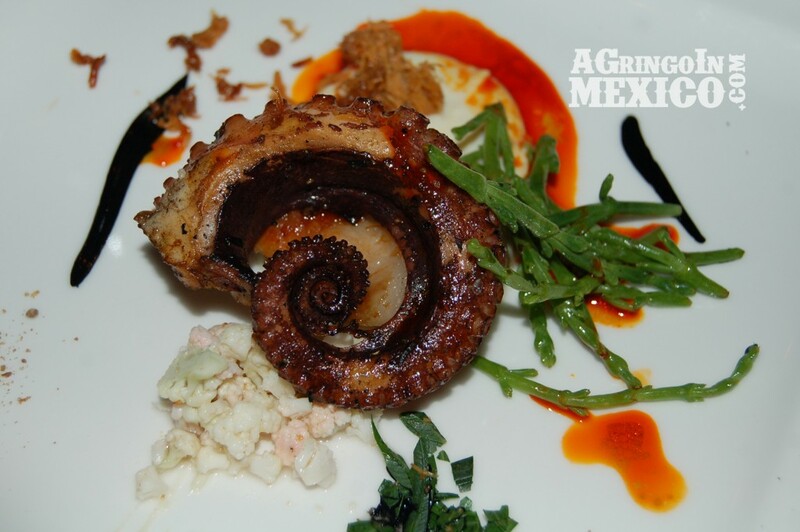 On February 28th, chefs Benito Molina from Manzanilla in Ensenada, Rob Ruiz and Brandon Nichols from Land and Water Company in Carlsbad, and Angel Carbajal from Grupo Nicksan in Nayarit joined Deckman to serve five courses with Valle de Guadalupe wine pairings – some whites but mostly blushes to complement the evening’s mariscos-focused menu. 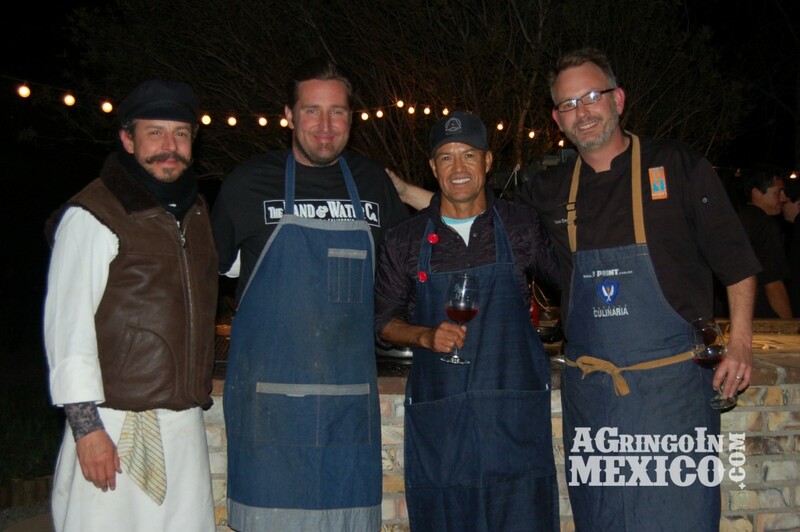 Chefs Benito Molina, Rob Ruiz, Angel Carbajal and Drew Deckman. 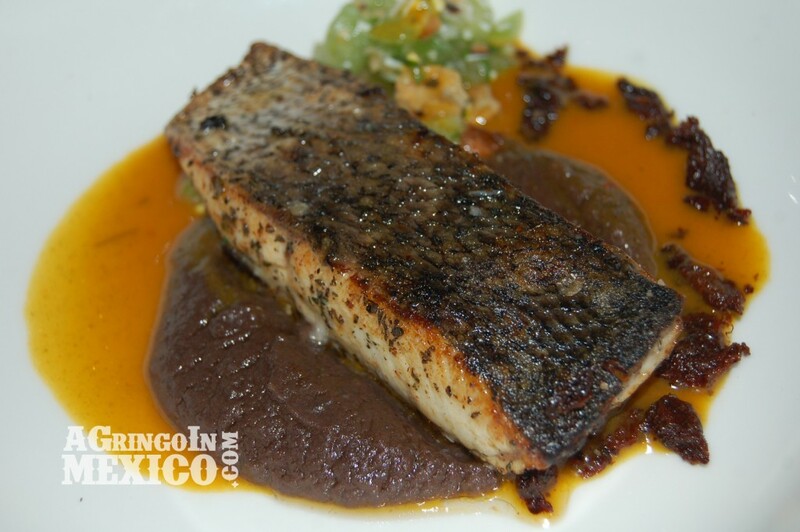 Grilled curvina in eel and fish sauce, saffron and seaweed from chef Benito Molina. Grilled octopus with pork jowl, cauliflower and squid ink from chef Drew Deckman. 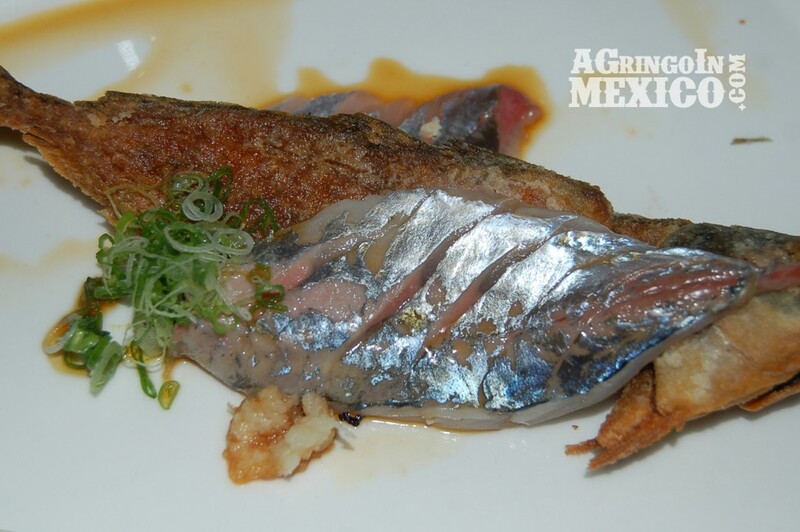 The Land and Water Company’s aji (Spanish mackerel) served two ways, as sashimi and deep fried. Yellowtail nigiri with apples, jicama and fried soba noodles from chef Angel Carbajal. Deckman will remove his restaurant’s enclosure as summer approaches. The hay bales will become food for the ranch’s animals and the tin roofs will be stored until next winter. And the chef will continue to transcend expectations from the sun-dappled laboratory of his very own Walden in the Valle de Guadalupe. Driving on Highway 3 from Ensenada, Mogor Badán Winery is approximately 1 mile north of the Carretera a El Porvenir dirt road intersection to the left. Look for blue signs and turn right into the vineyard’s driveway. The restaurant is close to the entrance beyond the first parking lot. DISCLAIMER: My wife and I were graciously invited to join the Chef’s Dinner as guests of chef Drew Deckman. 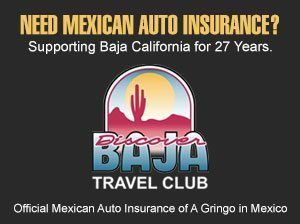 Since this article was written, I have happily dined and hosted guests at Deckman’s en El Mogor on my own peso. My opinions are my own, and no compensation was received from the restaurant or its affiliates for writing this article. I really like your artlice! I am a crazy keen angler so this stuff really appeals to me. Thx.